George Morris will put riders and horses through their paces in Chicago this November. Photo Chicago Equestrian. Antioch, IL – June 13, 2016 – Annali-Brookwood Farm, Antioch, Illinois, will host the George H. Morris Chicago Clinic November 25-27, 2016. The clinic, organized by Diane Carney, USEF R Licensed Official, celebrates 31 years of offering education by Morris, the “Unrelenting” equestrian. Morris announced last year that he would take a break from teaching clinics to take on private clients and coach the Brazilian Olympic Team for the 2016 Olympics, leaving limited opportunities for clinics. Morris needs no introduction to those in the equestrian sport. His success as a rider, coach, teacher and author speaks for itself and those who get the opportunity to hear the legend in person are truly fortunate. 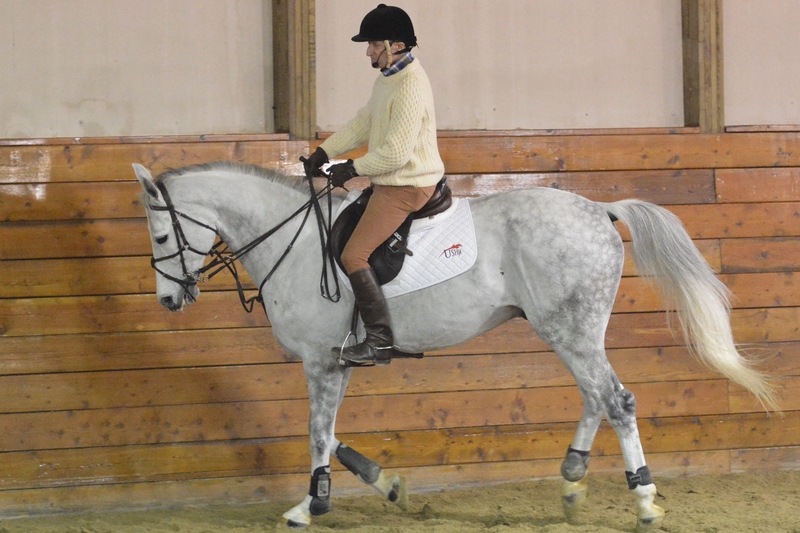 Morris demonstrates so riders and auditors can learn. Photo Chicago Equestrian. Although the riding slots have been filled since March with top riders, eager to ride with Morris, auditors are welcome to attend. Session times are 9:00 – 11:00 am for 1.20m, 11:00 am – 1:00 pm for 1.30m, and Grand Prix from 2:30 – 4:30 pm. The cost to audit is $75 per person per day; no reservations are required. Several of Morris’ books will be available for purchase with short book signing opportunities at the end of each day. Annali-Brookwood Farm is located at 18752 Edwards Road, Antioch, Illinois. For more information, contact Diane Carney at dtelluride@aol.com or 847-922-6167.